Writing Historical Fiction with Judith Arnopp. 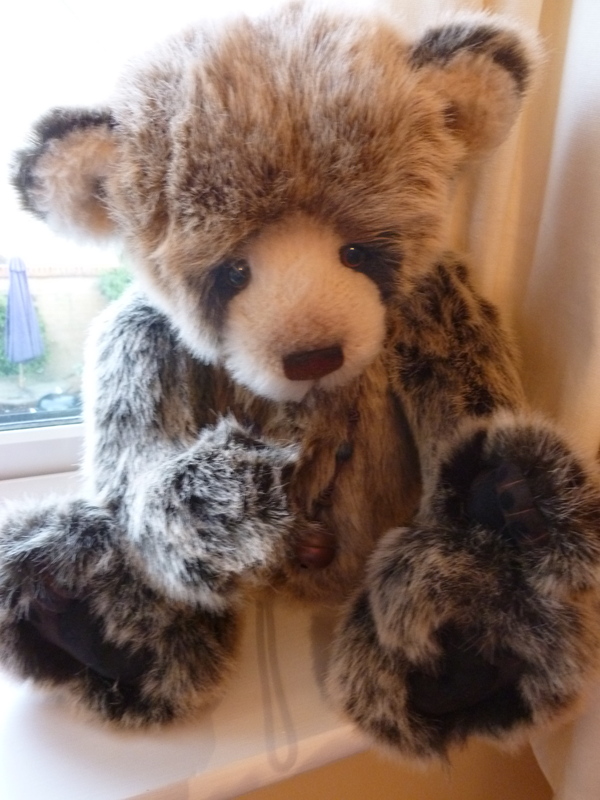 Today I’m welcoming friend and neighbour, Judith Arnopp to our blog. Judith’s book, The Winchester Goose, recently topped the historical paid Kindle chart and is definitely worth a read! Judith, you have an MA in history, which you gained at Lampeter University. Did this spark off your desire to write novels, or was that something that you had always wanted to do? Hi Rachael, thank you for inviting me on to your blog. I have always written short stories and a bit of poetry but I never thought anybody else would want to read my work so I never did anything with it. It wasn’t until I went to uni and my lecturer there convinced me that I had a teeny bit of talent that I decided to try a full sized novel. The first one, Peaceweaver, set in the run up to the Battle of Hastings, took three years; lots of research, loads of rewrites, editing and hair pulling until I finally plucked up the courage to publish. It didn’t make the tiniest ripple in the market but by then I was hooked and ploughed on with novel number two. It wasn’t until I published my fourth novel, The Winchester Goose which is set in the Tudor court, that I began to actually make a living from writing. It is a hard, hard slog but worth it in the end. What advice would you give to someone who wants to write historical fiction if they don’t have any qualifications in history? Is a love of history or a particular era enough? I think it can be. It depends on what market you are aiming at. 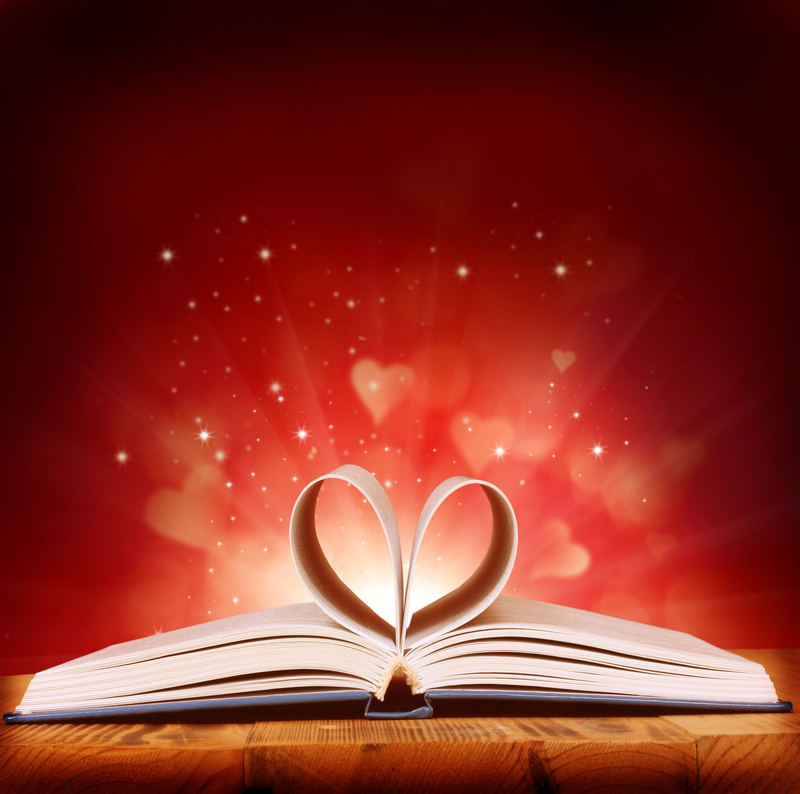 There are so many different facets to the historical fiction genre, from romances lightly based on historical facts to very serious tomes that stick rigidly to the historical record. I aim for somewhere in the middle. I research very carefully but I don’t like to bog my reader down with too much ploddy detail. Hopefully, I get a nice historic flavour but leave the plot enough space to flow nicely. For example, as a reader I hate to be distracted from the plot and the fate of the characters by an author showing off his knowledge on how to construct a clinker built medieval ship. It isn’t necessary. Whatever era you decide to write in, you should research it until you can move through that world without thinking too carefully. If you do stray from recorded fact or accepted opinion it is best to protect your back by explaining in an author’s note at the end of the book. How do you research for a new novel and how much of the facts to you put into the story to add flavour? I begin by reading all the period non-fiction I can lay my hands on – it is not advisable to use a historical fiction author as a resource because we often stray from accepted belief. I read from every perspective – for instance if I was writing about the very topical Richard III I would read both historians who are ‘for’ Richard and those who are ‘against.’ Then I make up my own mind which direction I wish to approach from. It doesn’t matter which you choose but if you want to be canny about it, it is a good idea to do a bit of research on which is selling better. Just now there seem to be far more people who want to purchase books about Richard than his rival Henry VII. This would suggest to me that it would be a good idea to write the book from Richard’s perspective and get his name in the title so as to appeal to all the Ricardians out there. Do you ‘see’ scenes from history in your mind? How much of these true events inspire your work? I know everyone’s novel is born differently. I visit a lot of historical places and read an awful lot of non –fiction. Sometimes an idea for a novel just falls into my mind, sparked by something tiny; words on a gravestone or a worn step in a cathedral. For me, once I’ve been inspired, it is like watching a movie. The plot seems to unfurl as I type and sometimes I am as surprised as anyone at how the thing turns out. My characters have their own ideas about how they wish to behave. What is your favourite historical era and why? I have quite a few favourites. I love early medieval, Anglo Saxon and early Norman, then I like the Wars of the Roses and Tudor. I’ve written in most of those eras now but for now I am sticking with the Tudors because I have a band of followers hanging out for my next book. The Kiss of the Concubine: a story of Anne Boleyn won me many new readers because she is so popular her fans are crying out for new material on her life. The Tudors certainly seem to sell better than the earlier periods but the bonus is that once people have read and enjoyed my Tudor fiction they then buy and read my back catalogue. Judith, as some of The Write Romantics and our regular readers are either currently self-publishing or thinking about it, could you tell us what made you decide to go down this route and when did you start? I finished my first full length novel in 2007, published it in 2009. Since then I have written five and a half further full length novels and a couple of short story pamphlets. I chose the independent route because I am just impatient and getting too long in the tooth to want to wait around to be picked up by a publisher. I had an agent for a while but she wanted to change the way I write, so that she could market me ‘like Philippa Gregory’ or ‘like Bernard Cornwell.’ I didn’t want that, I am me and I can only write like myself. I felt she was holding me back and since we parted company my career has blossomed. I may never be super rich or famous but that isn’t what I was looking for. The big publishers want no risk clients who promise high returns and my books were too distinctive for them to take the risk. I break rules sometimes, publishers and agents don’t like that, but my readers seem to. I make a tidy living, doing what I love, where I love and I also get to interact closely with my readers. I am also able to produce the book as I want it to be. I decide on the cover, the interior, everything. Plus I get to keep all my royalties for myself. What can get better than that? When you first published your work, how many other books did you have ready and how quickly did you launch them? I began with Peaceweaver. I was very green at the time and made many mistakes with it. I produced the paperback first and it wasn’t great but this was five years ago and things have changed immensely since then. I have now repackaged it and it is so much better. In the beginning I only had Peaceweaver but I pushed on to write The Forest Dwellers straight away and this time, knew what I was doing and produced a much better book. It wasn’t until I published on Kindle that things really started to move. 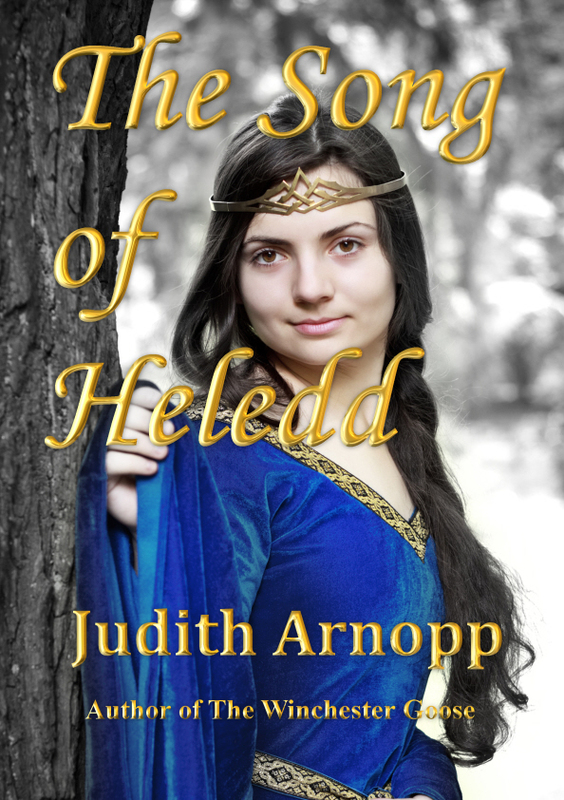 My third book, The Song of Heledd , didn’t do too badly but once you have three books out there you begin to make a bit of a return on your investment. The Winchester Goose, set in the court of Henry VIII, really took off and I earned enough to make the paperbacks that followed even more professional looking and repackage the others. The Kiss of the Concubine: a story of Anne Boleyn sold like hot cake and Intractable Heart, that came out a few weeks ago, is doing nicely too. It is possible to write and publish one at a time and that is how I approach it but I do know people who write three novels before they publish the first so they are ahead of themselves. It is best to do it the way that suits you best. How do you promote your work? What do you find the most efficient way and why? I promote on facebook, twitter, google+ and I also blog on my own and other blog pages. I write straight historical pieces that relate to whatever book I am promoting, with cover shots and sales links at the bottom. It seems to work well enough. I have never paid for promotion. I have done some free promotions with kindle for a limited time. That can bring some new readers but I rarely do that now. I usually do a free promo on my birthday or run a competition; sometimes one of the blogs I write for will be doing a free paperback giveaway which brings new friends and followers. I think the best way to sell books is to make your writing as good and as tight as you can, produce a professionally looking product and get as many quality books out there as you can. Also, it is important to interact with other authors and help them promote their books, hopefully they will do the same for you. Your readers are precious. If you get a nice comment on your work then thank them, show your gratitude. If you get a bad one, never ever react. There are some nasty people out there just waiting for you to fall into that trap and they can bring you down. I know authors who have given up because of one small minded group (I won’t call them readers, they are not looking for good fiction, they are looking for victims). Concentrate on the people who like your work, they are the people you are writing for. What is the best thing about being Indie? I get to work in my pyjamas if I want to. I can structure my own day to suit me. The end product is what I want it to be. I don’t have to compromise on cover, plot or characterisation. The best thing though is the close relationship with many of my readers. I don’t believe traditionally published authors enjoy such a closeness. They help sell my work by telling their friends, inviting people to like my facebook page and generally convincing other readers my books are worth looking at. The royalties are lovely but it is reader comments that are the most heady reward of all. I’ve had an email from a man telling me that a line I wrote in Peaceweaver helped him and his wife come to terms over the loss of their teenage son. I’ve had a message from a reader in New York telling me I made her cry on the subway on the way to work. I have another reader who tells all and sundry that I am her favourite all-time author. These are just a few of the messages I’ve had and they are awesome. Being an independent author is brilliant, hard work – but on the whole brilliant. The novel will be called A Song of Sixpence (because Elizabeth of York is traditionally believed to be the Queen in the parlour eating bread and honey, and the King who is counting out his money believed to be her husband Henry VII). I am hugely enjoying writing it; it is a dual narrative. 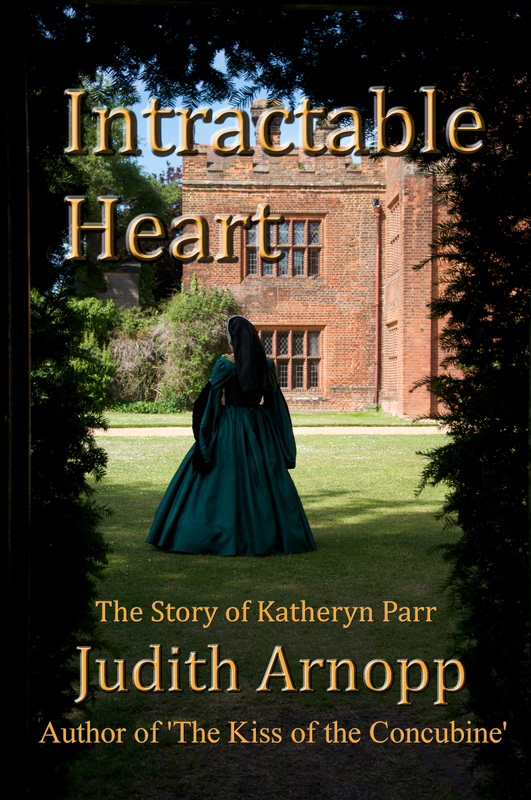 One from Elizabeth of York in which I have to be fairly true to recorded fact, and the other from Perkin, his adventures overseas and his return to claim Henry VII’s throne and his eventual fall. Because we don’t have any idea of the real truth behind his story I am able to be far more creative with this half of the narrative. It is a mix of joy, sorrow, fear, tragedy. Elizabeth’s second son whom we all know better as Henry VIII is a toddler during the time the novel reaches its peak and he is turning out to be a proper handful. As you’d expect from him he is liable to take over the story if I let him. Any other advice you’d like to share with us? Methodical research, check – double check, and then check again to be sure. Find a proper editor. There are some on Facebook, or lurking in writing forums. Try to get someone recommended by another author. I have a troop of beta readers, two proof readers and a professional editor. It is money well spent. Grow a thick skin and learn to ignore negative people. Enjoy your readers and have fun. Like everything else in life if it isn’t any fun then it isn’t worth doing. Thank you Judith, for a really interesting interview. I am certainly looking forward to reading A Song of Sixpence! 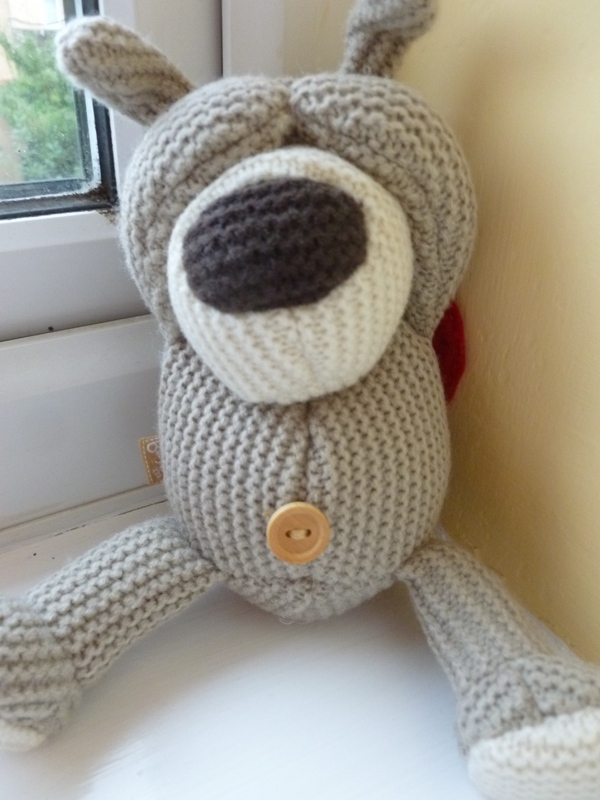 You can follow Judith on Facebook here or visit her blog and website. Judith’s books are also available on Amazon in UK and US. It takes a real gift to tell a familiar story differently and Hazel Gaynor’s book opened my eyes to another side of the Titanic disaster. I’d not thought about how the tragedy affected the survivors in their future lives or those who waited for news of loved ones. Having been to Cobh (formerly Queenstown) in County Cork, I’d known that Titanic had stopped there but I’d not really considered what it must have been like for the Irish passengers who joined the ship at that point. 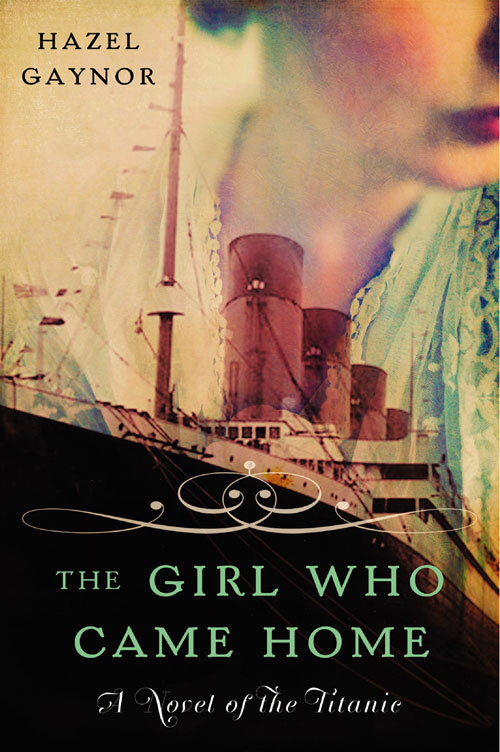 The Girl Who Came Home tells the story of Maggie Murphy and 13 other people from the village of Ballysheen in County Mayo who were travelling in steerage on Titanic on the way to a new life in America. Maggie leaves behind her boyfriend, Seamus who is unable to leave because his father is ill. Maggie herself is recently bereaved as her mother has died and she is travelling with her aunt who had emigrated to America years before. Obviously, the reader knows that Titanic will not reach New York and the series of ill omens that happen on the journey to Queenstown therefore take on great significance. I really liked Maggie. There’s a freshness to her voice, an excitement about each new experience which is very endearing. The poverty of her life in Ireland is highlighted by her delight in the pretty basic steerage accommodation and the three meals a day provided to passengers. When the story moves to 1982 it’s great to see that Maggie has retained much of that enthusiasm and I really loved her relationship with her great-granddaughter, Grace. I did see the revelation about Maggie’s husband coming from quite early on but then I have a rather geeky interest in all things Irish and I made the link quite quickly. But, having said that didn’t spoil my enjoyment of the ending and I found Maggie’s return to Ireland particularly emotional. I have to admit that I cried a lot reading this book. Having had a pretty traumatic time myself over the past couple of years Maggie’s courage really touched me. She came from a generation that didn’t have access to counselling or therapy and her method of coping was to not talk about Titanic for decades. The sections of the book set in 1982 seemed to me to be her coming to terms with what happened. That’s what I thought of The Girl That Came Home. I’d love to hear your opinion. If you’ve read it, did you love it as much as me? Is it a book that you’ll be adding to your TBR pile? 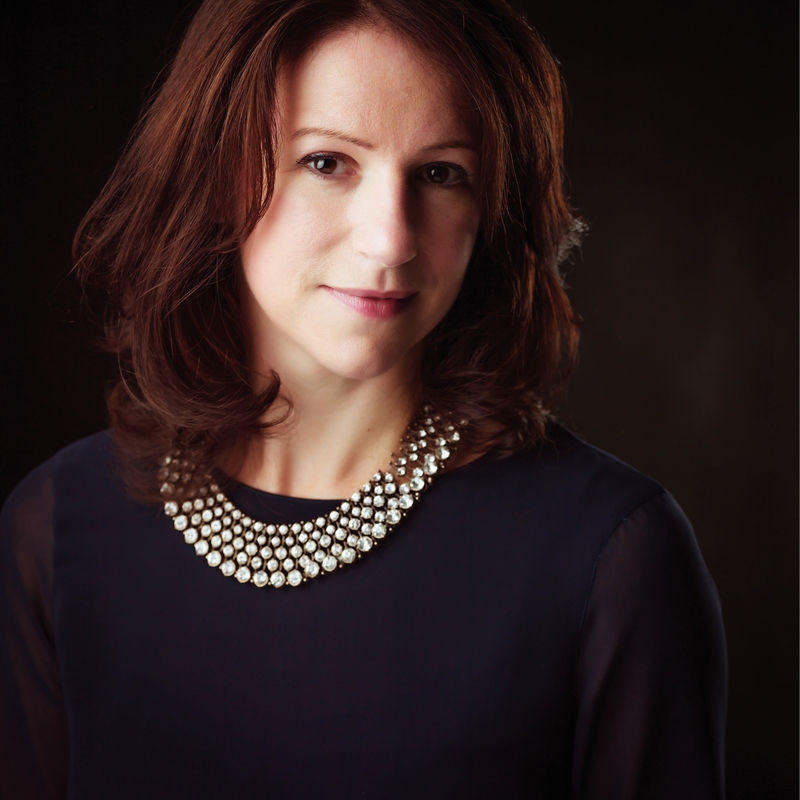 I’m delighted to say that Hazel Gaynor will be joining The Write Romantics Book Group for a live question and answer session on Thursday 28th August between 8 and 9pm. If you’ve got any questions for Hazel then please do pop over to Goodreads and join in the discussion here . Or you can leave a question in the comments here and we’ll make sure it’s included in the Q&A session. I’m handing over to Rachael Thomas now who has chosen the book for the Book Group to read in September. 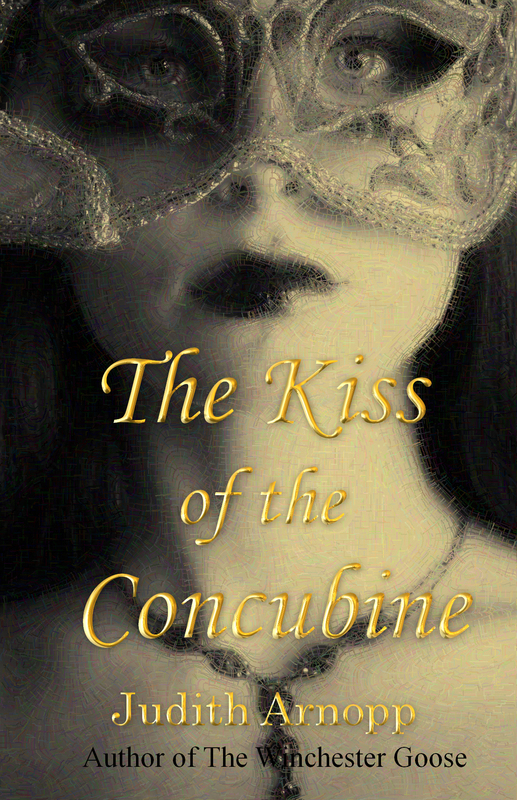 It is The Kiss of the Concubine: A Story of Anne Boleyn by Judith Arnopp. I love a good Tudor tale so I’m looking forward to this one. You can check out the reviews of Judith’s book here and here. 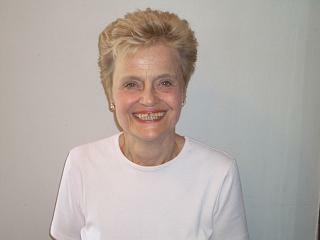 We’re looking forward to having Judith as our guest on the blog on Saturday 30th August. The Write Romantics are compiling an anthology of short stories to be released later this autumn in aid of Teenage Cancer Trust and Cystic Fibrosis Trust. Several writing friends have kindly given their time and talent by providing short stories and we’ve all contributed ourselves. For some of us, this was quite a challenge as we’re novelists; not short story writers. 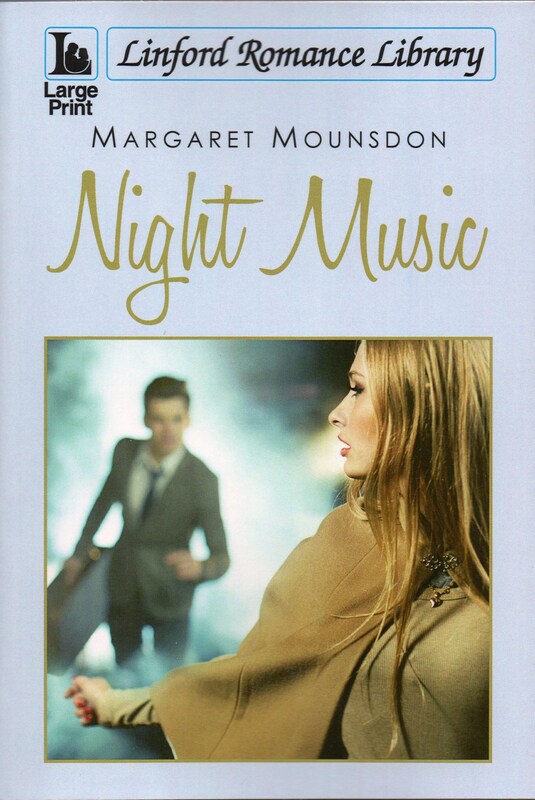 We were therefore delighted to welcome prolific short story writer, Margaret Mounsdon, to The Saturday Spotlight. As I said to Jessica the two things I love talking about most in this world are myself and writing! So I am honoured to be a guest on the blog and hope everyone finds what I have to say is interesting. A little introduction for those of you who’ve never heard of me. My name is Margaret Mounsdon and I have been published in the womens’ magazines, namely Woman’s Weekly, My Weekly, People’s Friend, The Lady and Take A Break’s Fiction Feast. Apart from the UK my short stories have been published in Australia, New Zealand, South Africa, Norway and Sweden. I have had 25 light romance novels published and I’m in the process of putting my backlist on Amazon ebooks. I have won or been placed in several short story competitions and the reason I am telling you all this is not to blow my own trumpet but to let you know it is possible to do this without knowing a single soul in the publishing industry or having an agent, or being able to pull strings with editors, publishing assistants, whatever. Unlike mainstream fiction when the publishers want to know all about you for publicity purposes, in the short story market it doesn’t matter. You can quietly sell your stories with as much or as little publicity as you like. Different rights to short stories can be sold several times and can become ‘nice little earners’ over the years. About 14 years ago I had no idea how the published short story business worked. I knew I liked reading them in the in magazines and sometimes I thought I can do as good as that. Eventually I decided to have a go. I have to say I was not an overnight success. I started writing in the 1990’s and my first short story acceptance was from Woman’s Weekly in 2000. Having said that a lot of my rejected stories have since been re-worked and most of them have found a home so it pays not to throw any of your work away. Thanks to all those who posted questions. I’ll do my best to answer them. Do you have any advice on how to crack the short story market? One way is competitions. They are an excellent way to get in. The Lady magazine unfortunately no long publishes fiction but they used to have a short story competition which I duly entered one year. I didn’t win and I wasn’t placed but I received an email from their fiction editor who liked my story and offered to buy it and it was duly published. All because I entered their competition. Apart from that you must study everything in the magazines, including the adverts. I even completed the crosswords! Up to date market study is very important. Also Woman’s Weekly run fiction writing days at their London office. I am going on one for serials (a market I’ve never been able to crack) in October. 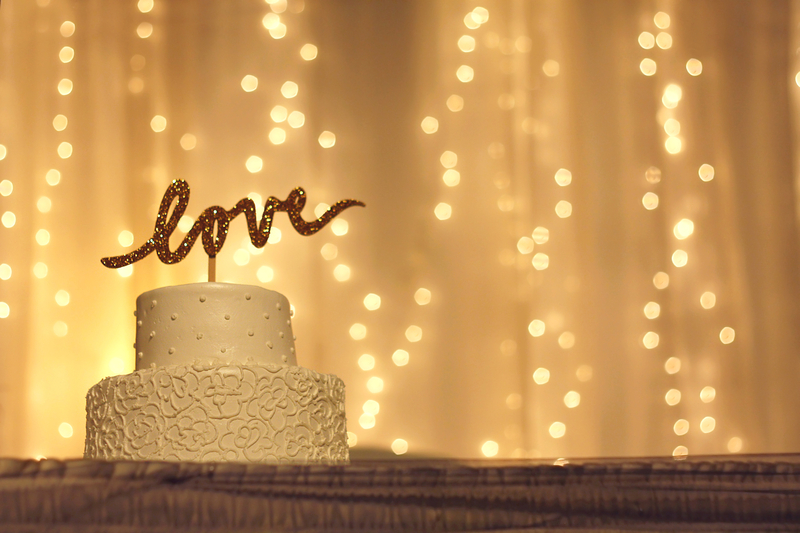 Any tips on creating a believable romance in a short story? Believe in your characters. Make them as genuine as possible. Make their problems creditable. Don’t create a situation ‘just because’. Every action has to have a reason. Do you create characters for short stories differently from the way you create the characters in your novels? The characters in my novels are much more in depth. I do histories for them and cut pictures out of magazines and supplements etc. In short stories I work more on an idea and go from there. What type of short stories do you enjoy writing the most? I’ve been asked by People’s Friend to write a 10,000 long/short story for one of their ‘specials’. They wanted a ‘cosy’ type crime caper. These are great fun. Think Midsomer Murders meets Miss Fisher. Do you plot your short stories or have an idea and start writing? I usually get an idea then sit down and get typing. I managed to get a story out of a trip to our local recycling centre, and another when I was in a queue in a charity shop and I eavesdropped on a conversation. Inspiration can strike anywhere so take a notebook with you at all times. Coffee shops are good places to get ideas. What gives you the most satisfaction; writing short stories or a novel. Why? I have no preference but if I’ve just done a 42,000 word novella for People’s Friend, I like to take a break and a 1500 word short story makes a nice change. Do you buy the editions of magazines in which your short stories appear or do you get sent a copy? Woman’s Weekly send copies. TAB Fiction Feast, My Weekly and People’s Friend don’t, but you do usually get told when your story is coming out. I tend to browse in WH Smith or the supermarket, just in case they’ve changed the dates. Also titles can get changed so you need to double check the magazines. It was with the defunct Heartline publisher. I’d met Sue Curran at a writing day. She agreed to look at my NWS submission. I was actually out when the call came. When I got back there was an answerphone message asking me to call her. She explained about Heartline and what they were planning to do. I still didn’t really ‘twig’ that they wanted to publish because they were only starting up. When she called back several times more, the penny finally dropped. I was ‘in’. I did a dance round the room and the joy of acceptance never goes away fourteen years later! 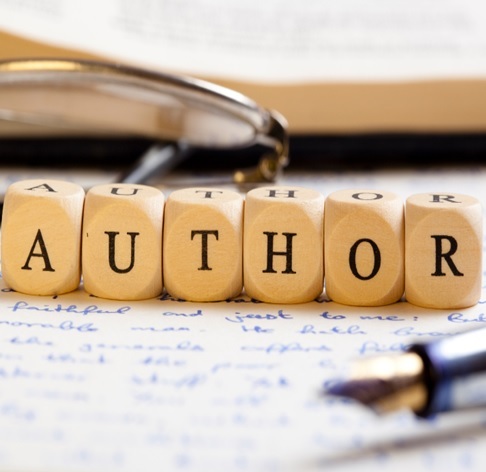 Why did you write under a pen name? Have you used this for all your novels? I only wrote as Clare Tyler for my two Heartline novels. They had another Margaret on their books at the same time and suggested I used a different name. I have only used it once since when People’s Friend had two of my stories in one edition of their magazine and they wanted me to use another name for the second one. These days it’s Margaret Mounsdon all the way. I have a People’s Friend novella coming out on 28 August. I entitled it Angela’s Return Home. 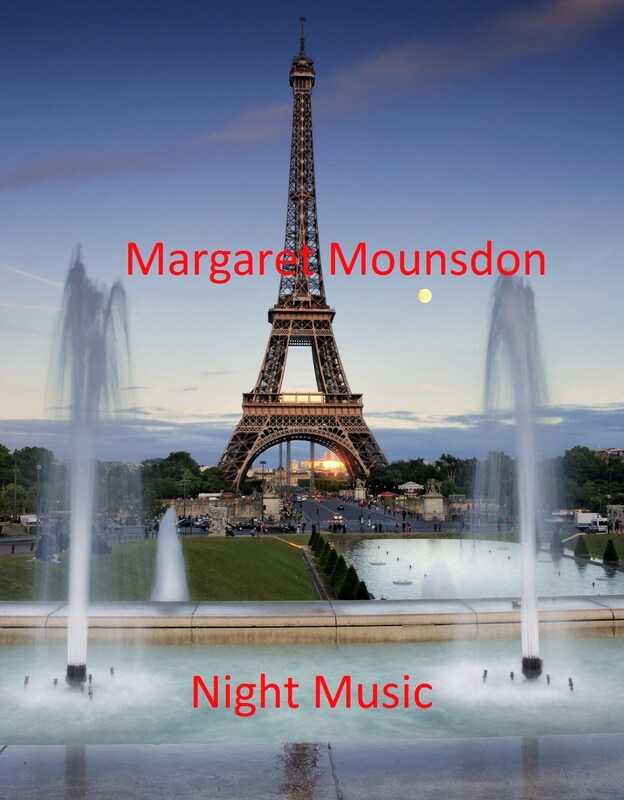 The titles do get changed but it will be under the Margaret Mounsdon name. Details of my novels can be found on my blog. 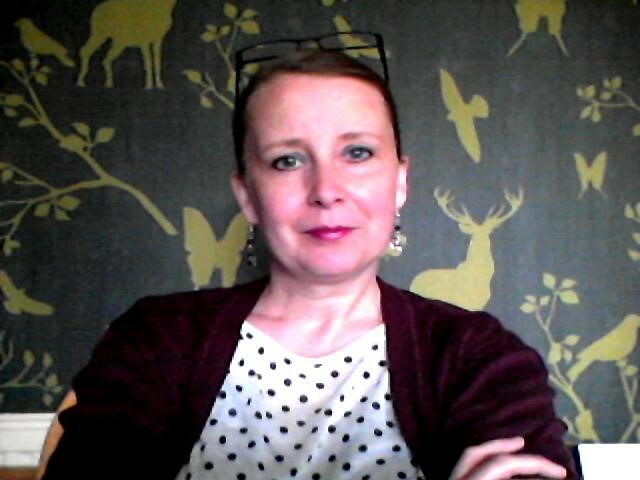 You can follow me on twitter @SwwjMargaret and on my website through which I can be contacted if anyone’s got any more queries. Thank you for inviting me to be your guest today. Thank you for joining us, Margaret. It’s been really fascinating to get a much deeper insight into the short story market which we haven’t really explored on our blog before. We appreciate your time and your advice. For anyone interested in finding out more about our anthology of short stories, please see our earlier post. We’re running a competition for a book title and you’ve got a little over a week to get your ideas in to win a gift voucher so get your thinking cap on and get emailing! It’s a bit like that old saying that the secret to happiness is not having what you want, but wanting what you have. Can we learn to live like that, I wonder? It’s not always easy, but I think I might be getting there at last! When I started out on this writing journey I enjoyed the writing for itself, for the sheer escapism that creating whole worlds and casts of characters in my imagination gave me. But then I decided to get a bit more serious about it. I was told, and not just by my mum, that my first novel might have what it takes to find a publisher. That was when the fun started to ebb away. I wasn’t writing for the love of it anymore, I was writing to please someone else – an agent, a publisher, a reviewer – and, guess what, almost every single opinion was at odds. I wrote myself in knots and lost sight of what I wanted. 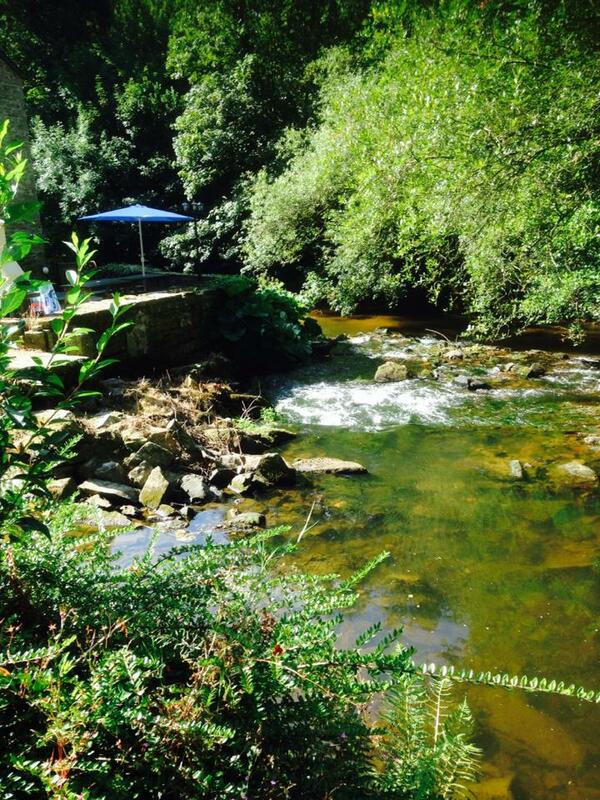 Then I went on holiday to a beautiful place in Western France with family and friends. I was ready to escape from everything, confused by the offers that had come in for my book and beginning to question whether I wanted to be published at all. I was so scared of making the wrong decision, so scared of making a decision at all, that it was paralyzing me. 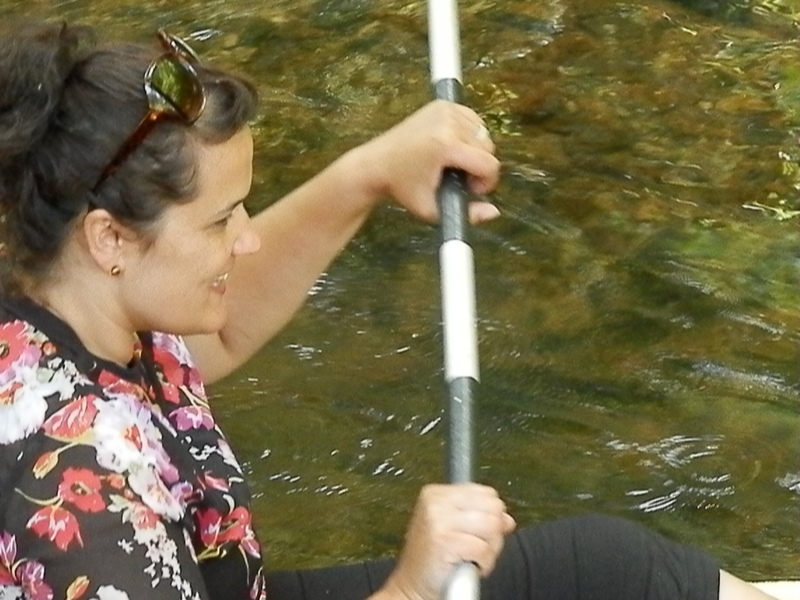 I didn’t write on that trip, but spent the time drinking, talking, kayaking down peaceful rivers and laughing hard – as though my life was going well. And slowly it all became clear; it really was. It might not have been as I’d mapped out in my head how my life would go, but it was perfect in its own completely unexpected way. I was with my family. Not a traditional one perhaps, but a modern ‘yours, mine and ours’ family. Three gorgeous children brought together by my husband and I, and the one we added together – my wonderful blended family who get on better than almost any other I know. I never expected this, never thought I’d have to marry twice to get it right, but I truly wouldn’t have it any other way. I didn’t want to get cancer, who would? 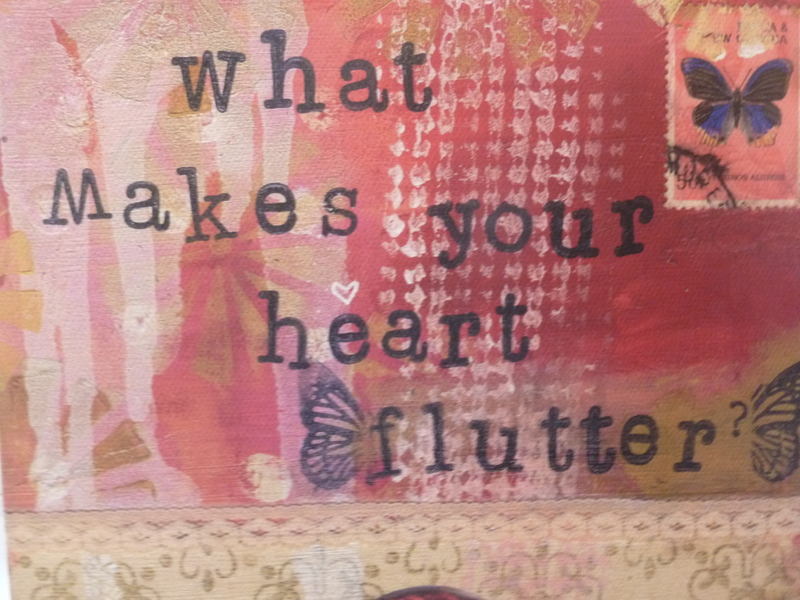 But I did and it changed my life in all kinds of ways I would never have imagined. It showed me what really mattered and the people to whom I mattered too. It made me re-evaluate my life, giving up a job that was sucking the joy out of everything, and started me off on this writing journey of mine. Which, I guess, brings me back full circle. Could the tranquillity of Western France solve the writing dilemma for me too? I think it did. Since coming home I’ve stopped worrying about what might be or what might happen if I make a certain choice. I’ve now signed a deal with a publisher who are making some of my dreams come true and instinctively know how to make it fun for their authors. I’ll be back with the details in September when I have a bit more to reveal, but for now I know Epicetus was right… want events to happen as they do and your life will go well. What inspired you to start writing and when did you start on your writing journey? To be honest, I don’t think I ever felt inspired to start writing, rather I’ve always known that I have to write. For me (and probably almost every other writer on the planet) there was never a choice. The desire has always been there even though I’ve only really given in to the siren call during the last few years. My focused and doggedly determined writing journey began in earnest about four years ago when it finally dawned on me that if I wasn’t careful I was going to live my entire life wondering ‘what if’. So I gave myself a good talking to, screwed my courage to the sticking place and went for it! Have you completed any creative writing courses or joined any writing groups? After the stern talking to I enrolled on a local creative writing course and I haven’t looked back since. I attended three in total, sharing flash fiction, short stories and even some poetry before a change in work pattern meant it was time to go it alone and tackle my first novel. I’m also a member of the online community Shortbread Stories and have enjoyed seeing my work read by thousands of people I would otherwise have never been able to reach. Where and when do you write? Do you have any superstitions, like using a certain pen? I’m a creature of habit when it comes to where I write. We moved house recently and it wasn’t long before I’d installed myself back at the head of the dining table only this time in the sitting room rather than the kitchen. I also write in my car during lunch breaks, although if it gets too hot I hunt around for an empty classroom! I work part time and have the luxury of two days a week at home so I do my utmost to cram in as many hours at the keyboard as I can on those days and then make longhand notes and edits during work days to refine during the evenings. At weekends the house is generally packed with marauding teens so writing blog posts, endless lists and plotting in my head tends to take precedence over upping the word count. I’ve recently discovered that the monotony of ironing often offers the solution to a plot problem or helps me develop an idea further as I play out different scenes and scenarios in my head. I’m not quite sure what that says about my writing routine and of course I’m not condoning ironing, simply passing on what works for me! Please can you tell us about the genre you write in, your first novel and what your aspirations are for it? My novels, unlike my decidedly darker short stories, definitely fall into the genre of romance and chic lit. I am thrilled with my first novel The Cherry Tree Café and can’t wait to see it published. One way or another it will be launched by spring 2015 at the very latest. I love the main character, flame haired Lizzie Dixon. She has been a real joy to work with even though she did find herself unceremoniously dumped on her birthday! What made you want to join the NWS and what have you got from it so far? There were two reasons why I was so keen to join the NWS this year. Firstly, I attended the Festival of Romance in Bedford last year and authors such as Miranda Dickinson, Mandy Baggot, Lorraine Wilson and Carmel Harrington were so supportive and full of encouragement that I felt duty bound not to let them down. Secondly of course was the critique on offer. I’d finished writing The Cherry Tree Café and almost completed a round of editing when my membership was confirmed and I knew the feedback I was going to get would be second to none. What I hadn’t taken into account was the support and friendship of the wonderful women I’d meet during the year. That has turned out to be an absolute highlight and the start of some relationships that I think will last far beyond the year! Do you have a work in progress? If so, can you give away any teasers and, if not, what are your plans for getting started on something else? Do you use social media a lot, including things like Pinterest, and if so, how helpful have you found it in your writing career so far? Is there any aspect of social media you have found it tricky to get to grips with and could you offer any advice to others starting out? I do you use social media a lot. A little too much probably! It can eat up the minutes like nothing else, but I do love it. This time last year I didn’t even have a Twitter account and now I have well over a thousand followers, the majority of whom are writers, some published some not, gardeners, allotment holders and a fair few RNA NWS members. I also have a blog, Wattpad account, author page on Facebook and a Pinterest account which is a great source of inspiration. Writing can be a lonely occupation so an active ‘social media life’ can make all the difference. I’m fortunate that I have a very clued up daughter so anything I have found tricky she has been able to help me through, with much eye rolling and head shaking of course. What do you think the benefits of using Wattpad are and would you recommend to other aspiring writers? I have only recently set up my Wattpad account and along with a couple of short stories I’m uploading one chapter of The Cherry Tree Café a week. I’ve received a fair few reads but not many comments however, the associated networking opportunities have been great! 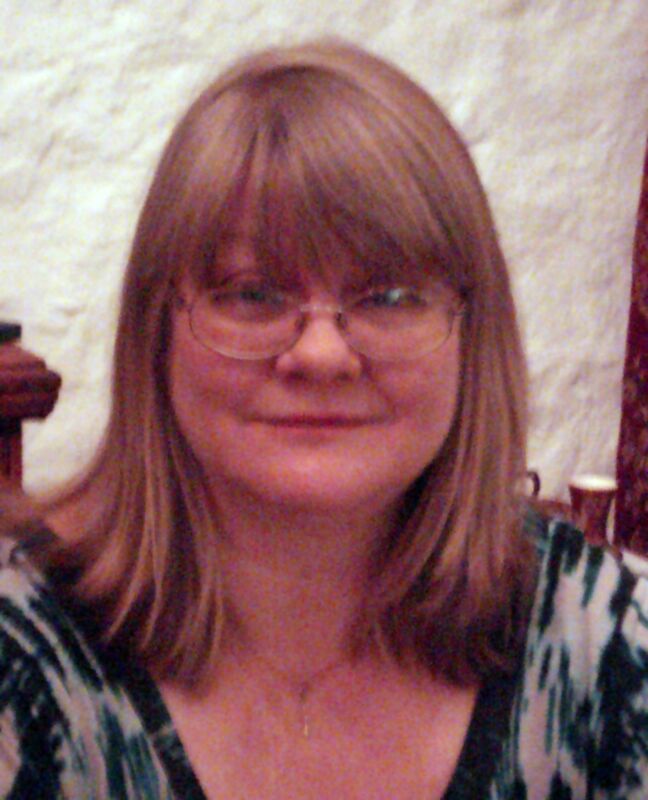 So far I’ve featured on the blogs of Jennifer Joyce and Liz Tipping both of whom I discovered on Wattpad. With the summer break in full swing I’m now planning to take a more active role in reading and commenting on other Wattpad users work. Traditional or indie publishing – which camp would you pick and why? Tricky question! I’ve spent half my life dreaming of seeing my books on the supermarket shelves with a big name publisher branded down the side but now I’m not so sure. Already happening! My daughter has her own blog and Wattpad account so she’s already on the path! I envy her. If Wattpad had been around when I was her age there’d have been no stopping me! Thanks so much for stopping by the blog to see us Heidi-Jo and we’ll be sure to look out for you on those Amazon charts, be it by the traditional route or indie! The Wednesday Wondering – What do we have to be nervous about? Welcome to our first Wednesday Wondering of the new format i.e. a monthly rather than a weekly wondering. Although I would absolutely love to make writing my career, I need to work full time to pay the mortgage and the bills. For most of my working life, I’ve been in Human Resources in training and/or recruitment roles. I’m currently a Learning & Development Advisor for a food manufacturing company. One of my favourite parts of this role is supporting staff members who have some development needs. Recently, I’ve been coaching someone on presentation skills. This individual is actually a very confident presenter but wanted to work on his presentation content and how to keep his audience interested in his message. However, most people I’ve coached on presentations before are really nervous about standing up and speaking in front of others. A Forbes survey in the USA a few years back revealed that, next to dying, public speaking was the biggest fear people had. What makes you nervous and why? When was the last time you were really nervous and what did you do (if anything) to overcome the nerves? What makes me really nervous? I suppose it’s the things where I am most bothered about the outcome. Job interviews, if I really want the role, opening up emails from publishers about novel submissions or getting feedback from others about whether I am ‘good’ at something or not. All of those things make me nervous to varying extents. Sometimes public speaking does too, but only when it’s about *me*. As a lecturer and Chair of multidisciplinary meetings I can be über confident, because it’s professional not personal, but when I have to speak about myself… not so much. I always think of it as being a bit like Worzel Gummidge, for those of you who remember, and putting on a different head! However, it is probably the single most important thing in life that makes me most nervous – checks on my health. Having been diagnosed with cancer in November 2010, I have to undergo six monthly check-ups, which shred my nerves. I watch the radiographer and consultant’s faces when they are carrying out the tests and imagine that they are looking at me with sympathy and that I’m doomed! I’m getting a bit braver and went for my last check-up without taking someone’s hand to hold (usually hubby or my mum), but I am not sure I would do it again, as the waiting outside the scanning room was torture. Things I do to make it better? Forgetting about it for the six months, in between visits, is the best that I can do. Oh and hubby hiding the appointment letters until the last minute, so that I don’t have to think about it for too long. It’s a lesson in life though… next time you’re nervous about that job interview or bit of public speaking, ask yourself this – “what’s the worst that could happen?” – and remind yourself that, whatever it is, it could be a whole lot worse. Enclosed spaces unnerve me, especially lifts. There was a time when I wouldn’t step inside one, not even accompanied. Now I can, but I’m never comfortable. The worst part, beyond the lift getting stuck which would be my greatest nightmare, is that endless moment between the lift stopping and the doors opening. What I have is claustrophobia, of course. It can happen in all kinds of places, not necessarily in small spaces. I don’t like being in windowless rooms, or anywhere I can’t keep the way out within my sight all the time. A couple of years ago I had a course of CBT (cognitive behavioural therapy) at an NHS clinic. I got on quite well and by the end I was sailing up and down in lifts and locking myself in the smallest spaces (yes, I mean public loos!) with hardly any qualms, but it took a lot of practice and concentration. CBT isn’t a cure but it teaches you to replace irrational thoughts with useful ones so that whenever you’re in the fearful situation you have the means to cope. As time has gone on, I’ve become quite laid back over trying to defeat my phobia and now I use a combination of methods to get by. I have the ‘tricks’ my therapist taught me but I also use a tactic which is absolutely wrong in terms of CBT – avoidance. If you continue to avoid a situation, you are fuelling the fear. That’s the theory and it’s true, of course, but I’ve also come to terms with the problem in that I don’t mind that I have it. Claustrophobia is one of the commonest phobias; you hear people all the time saying that they don’t like lifts – you meet them mostly half way up eight flights of stairs – and knowing so many people feel the same kind of makes it all right. There’s quite a lot of things which make me nervous but I’ll talk about the writing related ones. Going to London to meet my agent was pretty terrifying. Even though logically I knew that they wouldn’t want to meet me if they weren’t interested in representing me it didn’t stop me feeling pretty sick going into the meeting. Looking back now I’m surprised that I managed to get through it without spilling my tea or tripping over the carpet. I rather stupidly did something that was even harder than that earlier in the year when I read aloud at an event organised by York Writers as part of York Literature Festival. It was held in the basement bar at our local arts cinema. I’d told myself that it wasn’t a very big place and I’d be fine. But when I got there it suddenly seemed massive. And it was almost full with nearly 100 people there. The stage was about two inches off the floor and the lights were so bright that I couldn’t see the audience at all. I read the first couple of pages of Beltane and my hands shook all the way through. I guess it was good experience but definitely one I never want to do again. I tend to worry about traveling. If I have a journey to make, I worry about all sorts of things that could go wrong, even though I know they probably never will. I don’t do this when I book or arrange the trip, but a day or two before – but it hasn’t stopped me going yet! The strange thing about this is that I love to travel, explore new places and meet new people. It’s one word: confrontations. I can’t bear them. At work, I like to think that I build great relationships with my customers and behave in a way that avoids confrontations but sometimes things are out of my control and someone else does something that means I’m going to have to raise a delicate issue. My stomach does a somersault, my hands go shaky, my heart races and I feel physically sick. Awful. There’s nothing I can do to overcome the nervous feeling; it’s always going to be there in this situation. I think the only way I’d feel better would be if I could cuddle my teddy bear tightly, close my eyes and wish it all away! Unfortunately I’ve had a couple of appalling weeks where I’ve had several confrontations or situations where there could easily be one including a face-to-face one at work and an over-the-phone one with a family member. I’m exhausted as a result! Please join in and let us know what makes you nervous or any coping strategies you can recommend. You’ll find the comments tag at the end of the post tags below. The Titanic is often associated with the glitz and glamour of the Edwardian period. What inspired you to tell the story of the Irish steerage passengers? I’ve always been fascinated by Titanic (I was a teenager when the wreck was discovered) and when I decided to write a novel set around the ship and the tragic events of that April night, I knew I wanted to explore the experience of a third class passenger, rather than that of the wealthy millionaires we know so much about. Living in Ireland, I was also keen to find out more about the Irish passengers who boarded Titanic at her last port of call, in Queenstown, County Cork. History has, in some ways, neglected those of the lower social classes because they were ordinary people. We know plenty about the likes of the Astors and the Strauss’s, but little about the passengers who travelled on third class tickets, many of whom were leaving their homes in England and Ireland in the hope of finding a better life in America. I felt that it was these, ordinary people, who had the most extraordinary stories to tell. I also wanted to explore the aftermath of the disaster and how such an event can have lasting repercussions on a survivor’s life. In the survivor records of Irish passengers, the name Annie Kate Kelly kept coming up. It was that which led me to the story of the Addergoole Fourteen and the inspiration for the novel. The film ‘Titanic’ is a fabulous love story. Was it nerve-wracking telling a completely different story in your book after the film has been so enduring? I was obviously very conscious of the movie when I started writing the novel, and of course, comparisons will always be made to some degree (although lots of readers have said how much they would love THE GIRL WHO CAME HOME to be made into a movie – which is lovely to hear!). Writing about such a well-known event was certainly a daunting prospect as a debut novelist! 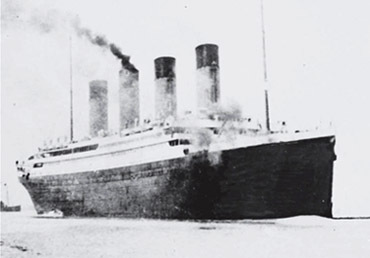 That said, I was very clear about the Titanic story I wanted to tell and with my story being based around steerage passengers, and also focusing on the aftermath, and on the impact on family and friends awaiting news of the disaster, I didn’t feel in any way inhibited by the movie’s plot or premise – or its huge success. I didn’t watch the movie while I was writing the novel though – just to make sure I wasn’t mimicking Mr Cameron’s view of the event! What difference has it made having a publisher rather than continuing with self publishing? Although I had a very positive experience of self-publishing, I always, always wanted a traditional deal and to work with a publisher. Working with the team at William Morrow (an imprint of HarperCollins in the U.S.) has been such an amazing experience – and everything I had hoped it would be. The job of a writer is a very lonely one, and with self-publishing there really is a lot of ‘self’ involved. To have the backing, support, enthusiasm, professionalism and belief of a team of experts behind you really is incredible, and has made a huge difference to my confidence as a writer. I have learnt so much from my editor and from the marketing and publicity team, and obviously as one of the big publishers, they have been able to get my book into the hands of so many more readers than I could ever have hoped for. I’m very excited to meet the team, and my agent, on my trip to New York this November. What’s the most exciting thing that’s happened to you since (a) the indie version came out and (b) the published version came out? I was very fortunate in that THE GIRL WHO CAME HOME was very positively received from the very early days as a self-published Kindle ebook. The morning when I received a Facebook message from an agent in New York saying that she’d read the book on her Kindle and would love to talk to me about representation has to be the highlight of my ‘indie’ publishing life, because it was so out of the blue and came at a time when I’d had a second novel rejected and had just lost my agent. And of course, that initial contact led to my deal with William Morrow. Since the published version of the book came out, the most exciting moment has to be when I received an email from my editor telling me that the book had made the New York Times best seller listings. That was a moment to savour, and even better that it came on the second day of our family holiday!! What advice would you give to anyone considering going down the indie publishing route? Don’t approach it lightly. It can offer a great opportunity to get your work out there, but you have to be prepared to put in a lot of hard work. Make sure the work is your absolute best and that it is edited professionally and has a professional cover designed. I cannot emphasise those points enough. Talk to other indie published authors so you know what to expect and be very clear with yourself about your goals and expectations. I honestly did not expect to get a publishing deal from self-publishing. For me, self-publishing THE GIRL WHO CAME HOME was a way of letting go of that book so I could get on with the next one. There must be a huge amount of historical records and documents about the Titanic. How did you go about researching the historical details about the Titanic, the experience of the survivors and the village in Ireland. Titanic is an event that fascinates people and because of that, there are a lot of official and unofficial experts out there! For months, I read everything I could about Titanic and her passengers. I read survivor accounts and newspaper reports from the time. I read other Titanic books, such as Walter Lord’s A Night to Remember and I got lost in Titanic websites like http://www.encyclopaedia-titanica.org. While some historical fiction writers struggle to find material about their subject, my problem was that there was so much and I knew I had to get the balance right between fact and fiction. When I was writing the novel, I was very conscious of the reality of my story. How would the descendants of those who had inspired my book react to my retelling? How could I tell their story in a way that was respectful, yet also engaging to the reader? I wanted to do justice to the memory of the Addergoole Fourteen, and all of Titanic’s passengers, but I also wanted to tell my story in my own words. Of course, when you’ve spent so long researching a subject you are fascinated by, it is very tempting to throw in every tiny fact and detail. My challenge was to know what to leave out, as well as to know what to put in. I could geek out for hours about Titanic but my job in writing this novel was to tell an engaging story and let the characters – not the history – take priority. The painstakingly researched historical facts should, ideally, just become a part of that story; noticeable and enjoyable, but not distracting. Do you intend to continue to write historical fiction? Yes! I absolutely love writing in this genre and can’t see myself leaving it for quite some time. My second novel, A MEMORY OF VIOLETS, is about two sets of sisters and is set around a charity for orphaned flower sellers in Victorian London. The story spans several decades across the late 1800s and early 1900s. I love the Victorian and Edwardian eras and the streets of Victorian London were a wonderfully haunting place to explore in my imagination. Again, the novel was inspired by true events and I am very excited about the book’s publication in early 2015. I’m also excited to be in the early stages of ‘book three’ which is also historical fiction. We see that you’ve interviewed several well-known writers in the course of your career and we wondered if there was a particular writer who inspires your work? I’d have to say Philippa Gregory. It was amazing to meet her in person in 2012 because I’ve loved her novels. She’s such a fascinating woman and I think she really blazed a trail in making historical fiction popular through her Tudor Court novels. She brings history to life so vividly on the page and although I’m not writing as far back in history as she does, nor and I writing about royalty, I take a lot of inspiration from her approach to writing history in the novel form. She also tells a great story! Do you have any advice for anyone considering writing historical fiction for the first time? Ultimately, you need to be very excited about and intrigued by the era, event and/or person you are writing about, because you will inhabit that world for a very long time during the process of research, writing, editing and promoting your novel. I wrote THE GIRL WHO CAME HOME in 2011 and am as excited to talk about it today as I was back then. Research is obviously a critical element of writing historical fiction and a non-writing period to immerse yourself in the era is really important. Other than that, you need to sit down and start writing! Also, remember that you are ultimately writing a novel that will be commercially appealing to publishers and full of engaging characters to captivate the reader. Don’t lose sight of the story among all the fascinating history. A huge thank you to Hazel for joining us today. If Hazel’s interview has made you want to read ‘The Girl Who Came Home’ then we’d love it if you’d tell us what you think either on this page or over on the Goodreads group which you can find here. P.S. We’ve realised since we changed the format of the blog that it’s not entirely easy to see where to leave a comment. We figured this out when we couldn’t find the right place! At the end of the list of tags at the bottom of the page there’s the words ‘leave a comment’ and if you click on that it’ll take you through. Just because it’s a little hard to find please don’t think that means we don’t want to hear from you because we do!